There is a civilizational connection between India and Iran. However, the relationship has experienced hard times, especially since the late 1970s when the Shah of Iran was toppled in the revolution and Americans were taken hostage. The bilateral relationship was tested often but Iran played its cards pretty strong given the Soviet/Russian support and its occasional engagement with European countries. With the demise of the Soviet Union and emergence of the US as a super power, friends of Iran came into the orbit of the sanctions regime of the West. Iran’s regional engagement and ambitions have been under scrutiny especially when seen through the lens of the Shia-Sunni crescent. Given its influence in Iraq, Afghanistan, Syria and Lebanon to Yemen and beyond in Central Asia, the Israelis are amongst those who are most concerned. Iran has often been accused of supporting terrorism. Hezbollah (The Army of the God) and Iran’s army have secured for the country substantial areas of influence. With the fluid regional situation in the Middle East and Iran’s nuclear programme, the western countries after protracted negotiations among P5+1 and the EU arrived at the Joint Comprehensive Plan of Action (JCPOA) that led to the dilution of sanctions. Israel and Saudi Arabia were miffed and felt short-changed by the US in particular. Iran was back in the fray. The IAEA, Europeans and even the Americans appeared to be content with the progress and verification of compliance by Iran. However, the onset of the Trump Presidency sounded the death knell for the international agreement unilaterally. Unlike the previous chain of sanctions, this time the Europeans, Chinese and Russians are clearly against the unilateral US approach of imposing sanctions against Iran which will directly impinge on their strategic and national interests. India is no exception. Last time India, like China, Japan and South Korea, got a waiver from the US as these countries demonstrated a reduction in imports of oil from Iran over a certain period of time. This time around, given Trump’s abrasive, disruptive and maximalist approach, the situation is more complex. India has maintained that it does not recognise US sanctions and only recognises UN sanctions. Nikki Haley was in India earlier this month to convey a forthright message from President Trump in this regard. Despite the sabre rattling, hard choices will have to be made by the Indian foreign policy establishment keeping the larger picture and broader interests in mind. We are not alone in this and if a decision is taken to stop purchasing Iranian oil, the US administration may have to provide alternative sources of energy from Saudi Arabia, UAE and the US itself. The Saudis have been asked to ramp up oil production by up to 2 mbpd while the US is trying to find alternatives and remains adamant. Meanwhile, the Saudis and UAE have offered to bridge the oil deficit for India. However, the economics of it still remain to be vetted as Iran has offered to provide significant discounts. Iran is the second largest source of petroleum for India and surely a major economic and energy partner. Exclusive Economic Zones of India, Iran, Pakistan and Oman provide a maritime contiguity in the north Arabian Sea. Iran is also extremely important for India for its connectivity to Afghanistan and Central Asia as well as for its North-South Corridor. In order to counter China-Pakistan designs, India strategically invested significantly in the Iranian Chabahar Port and has committed over US$500 million for extending connectivity to Central Asia. 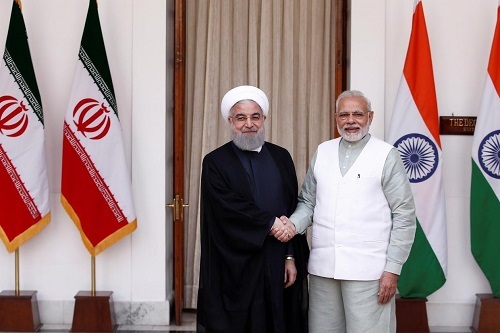 During the visit of President Rouhani to India in the joint statement ‘Towards Prosperity through greater Connectivity’ the two sides reiterated their common resolve to further intensify and strengthen multifaceted cooperation. Consequently, not only Iran agreed to increase the pace of negotiations for the Farzad B gas field but both sides agreed to hold dialogues between their Defence and National Security Council structures and move beyond the traditional buyer-seller relationship to a long-term strategic partnership. Prime Minister Modi also declared India’s independent foreign policy choices stating that if India wants to buy oil from Iran then it will buy. However, the difficulties being faced by Indian banks, insurance and oil companies have begun to manifest. The Israeli Ambassador gleefully tweeted a Reuters report stating that Indian HPCL had cancelled the purchase of an Iranian oil cargo after its insurance company refused to extend the insurance coverage in view of US sanctions. 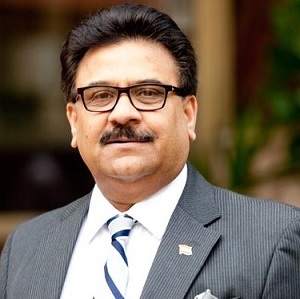 The State Bank of India had earlier taken a conscious business decision not to continue dealing with Iranian business enterprises in view of its much larger stakes elsewhere. India may continue to pursue waivers with the US authorities as is being done for CAATSA as far as arms purchases from Russia are concerned. Mike Pompeo, US Secretary of State, had indicated that the US might consider specific requests. If the US indeed considers India as its crucial partner in the context of its Indo-Pacific and South Asia strategy it will have to take into account India’s genuine energy security concerns and make necessary amends. Giving up the Iranian option will compromise India’s strategic choices and hurt its national interests. Alternate payment methods through Rupee, Rial or barter as well as using Iranian, European or Russian and Chinese banks or for that matter BRICS institutions could be the way forward to tide over the problem. Hopefully, during the September 2+2 dialogue between India and the US, some acceptable solution will have been found without demanding significant reductions of supplies from Iran. If not, India can surely survive the sanctions but then the US, apart from its credibility, would have lost out on a much larger piece in the Indian defence and nuclear energy sector as well as other huge business opportunities should the intransigence persist.